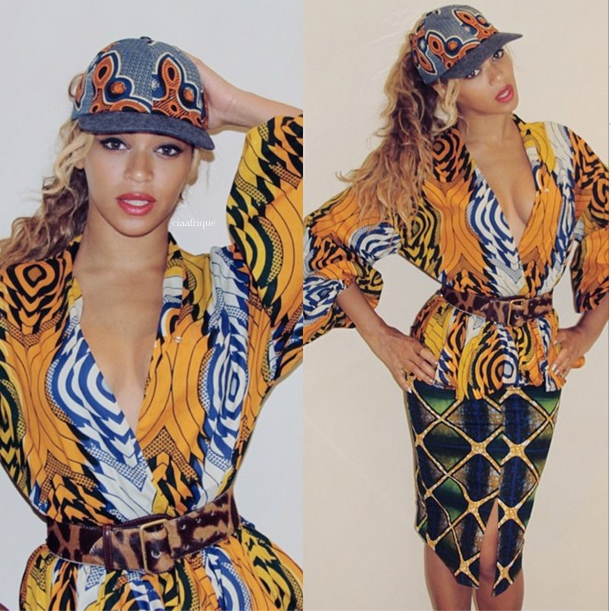 It's no secret that Beyonce loves wearing African print. I just love that she really does give a chance to the up and coming and indie designers. Demestiks New York is one of Ciaafrique fave designers. The work of Reuben Reuel designer of Demestiks has been featured on Ciaafrique several times and he was even nice enough to send me one of his designs. The pieces that Beyonce is wearing are both available here.